Mobility will play an important role in tomorrow's interiors. We would like to be able to turn the living room into a reception area, working space or home theatre in a snap. Screens are handy tools in that sense. 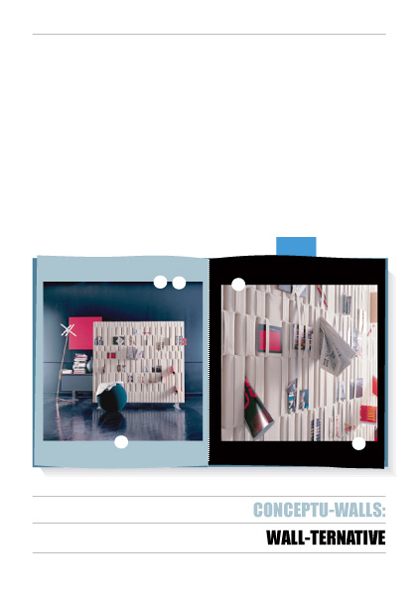 Especially if they prove to be multi-functional, such as this 'Soft Wall' by B&B Italia (www.bebitalia.it), designed by Carsten Gerhards and Andreas Glücker and made of felt. Objects are stuck into this innovative design in scatter patterns to make a decorative sculpture wall.